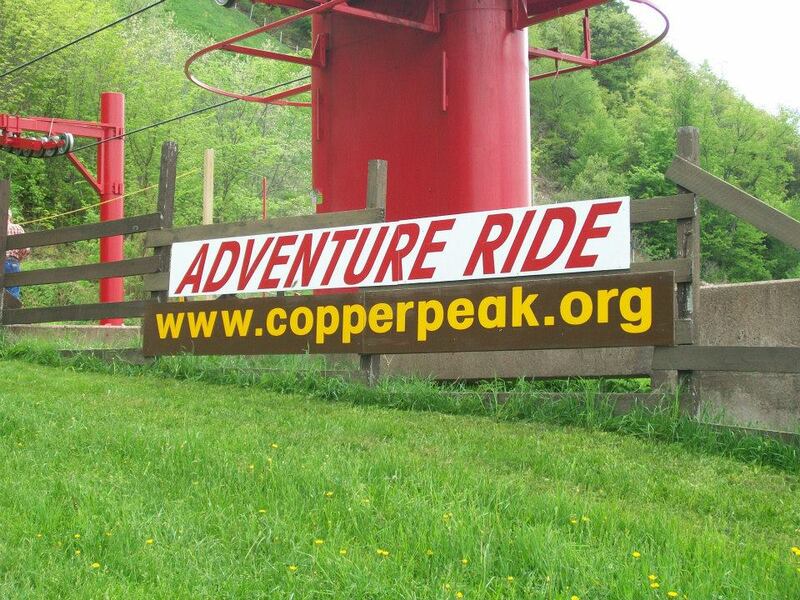 The Copper Peak Adventure Ride is one of the top highlights to visit in the Ironwood area and all of Upper Michigan. 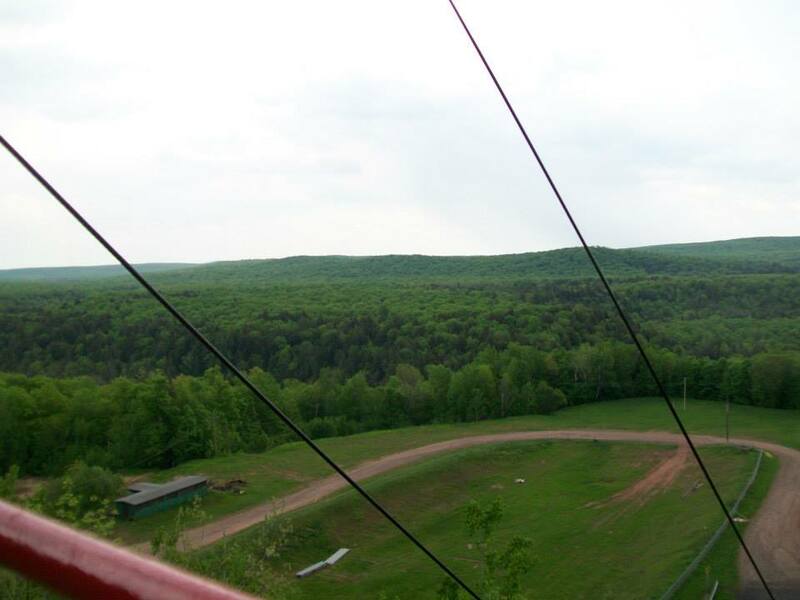 There is a chairlift that takes you 810 feet up onto the top of the hill (a 360 foot copper-bearing volcanic outcrop). 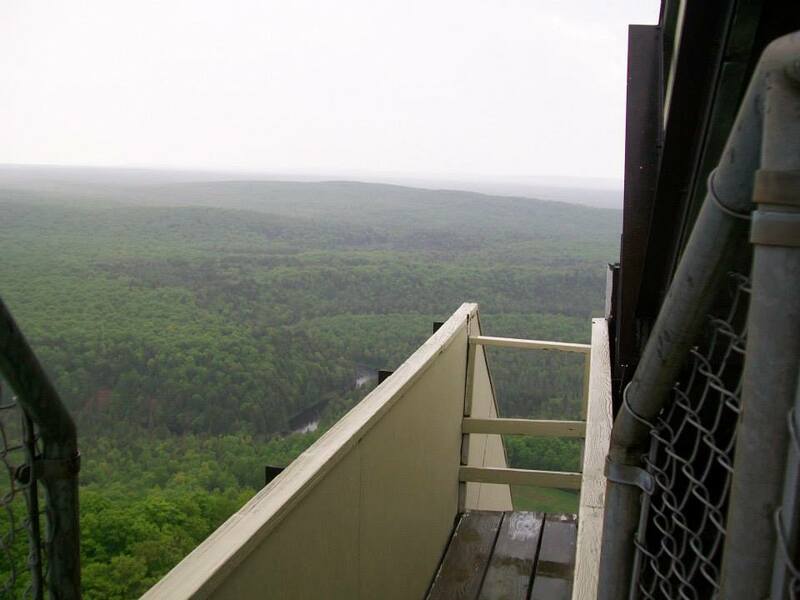 Then visitors take an exciting 18-story elevator ride to the main observation deck. 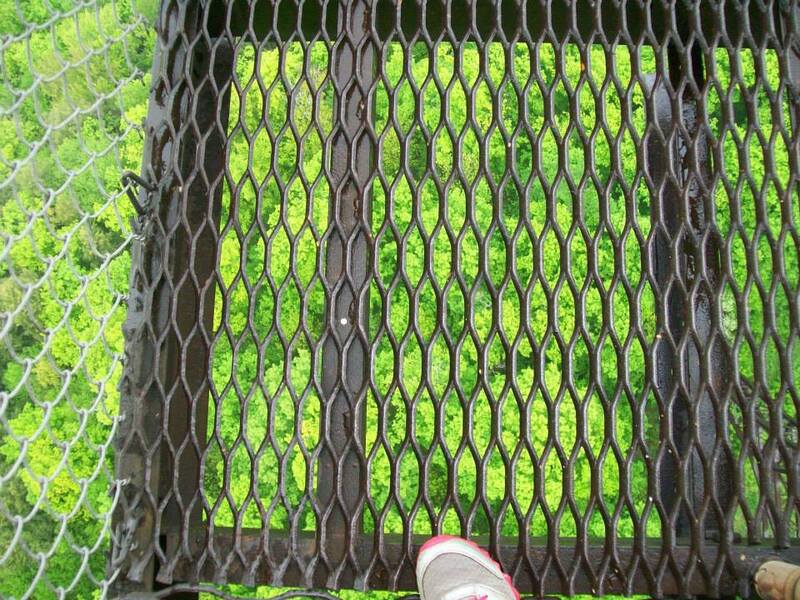 If you are really brave, you can continue to climb up steps for 80 feet until you reach the top starting gate. Once on top you can see over 2500 square miles of the surrounding area including parts of 3 states and, on a clear day, 85 miles across the Lake. 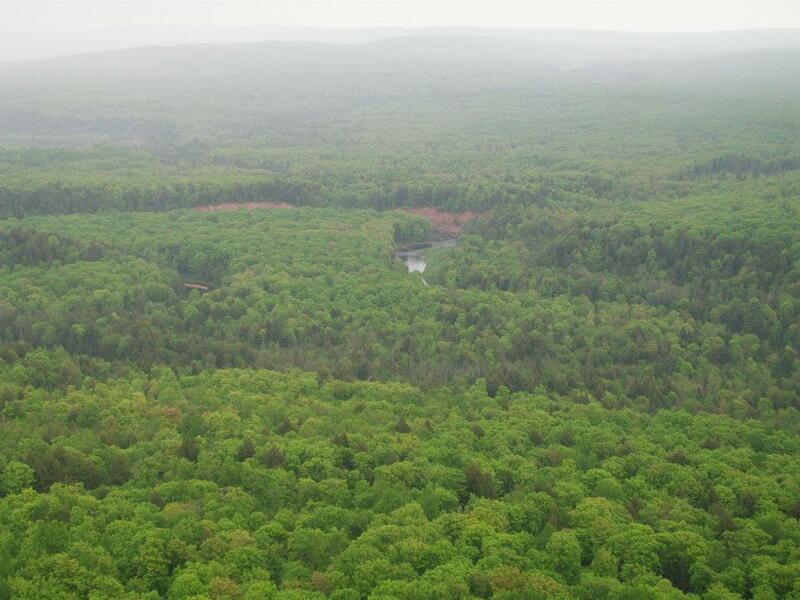 Points of Interest include the Apostle Islands, the Porcupine Mountains, Isle Royale, and numerous historic sites. 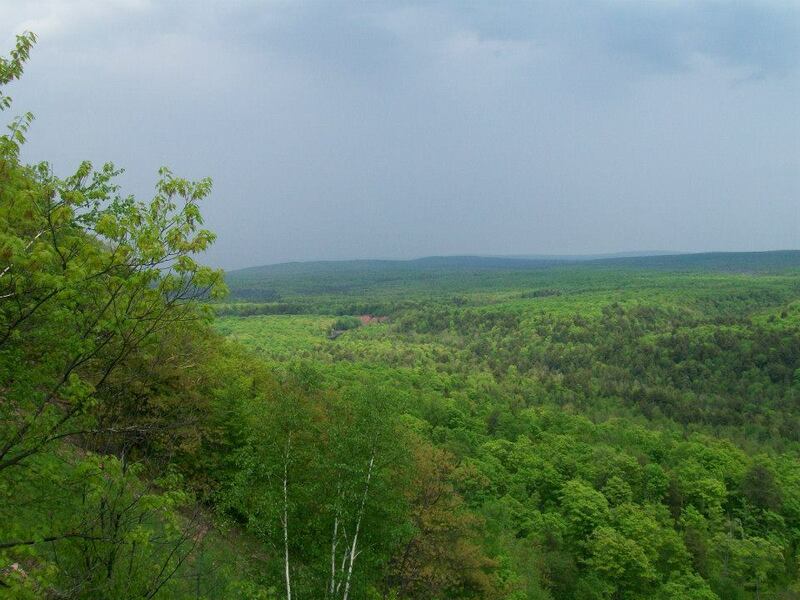 Copper Peak is itself a registered Michigan Historic site and is part of the Western Upper Peninsula Heritage Trail Network. 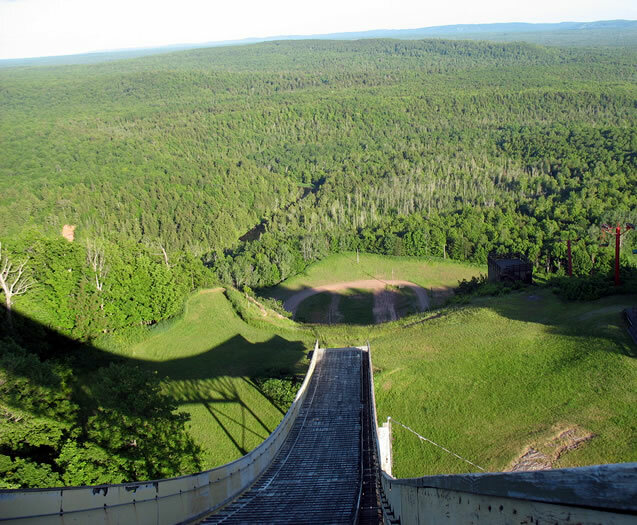 Copper Peak is the largest artificial ski jump in the world. The 35 degree, 469 foot, cantilevered inrun was constructed using 300 tons of COR-TEN steel in 1969 at a cost of just over $1 million. 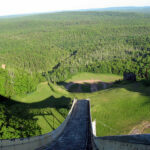 The upper observation platform is 1782 feet above sea level and 1180 feet above Lake Superior. 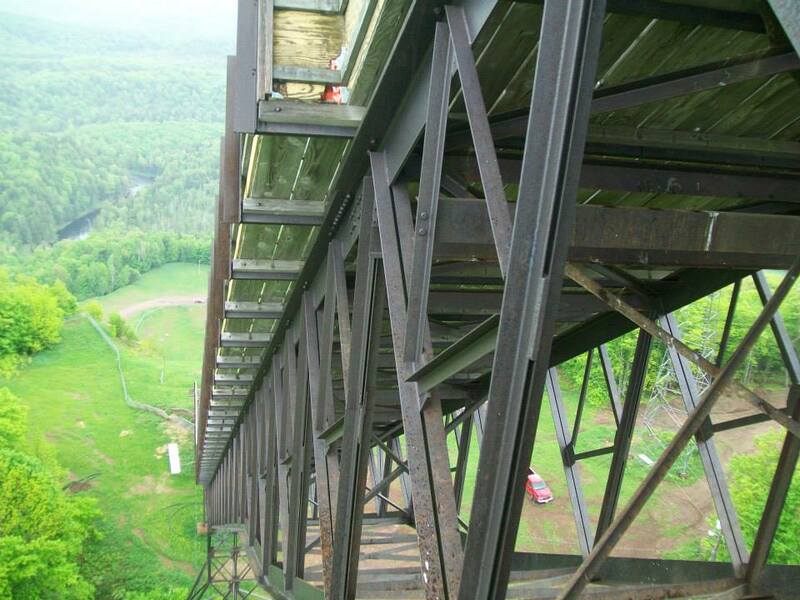 The platform provides the highest, unobstructed, 360 degree vista in the Midwest, overlooking nearly 40 miles in every direction. 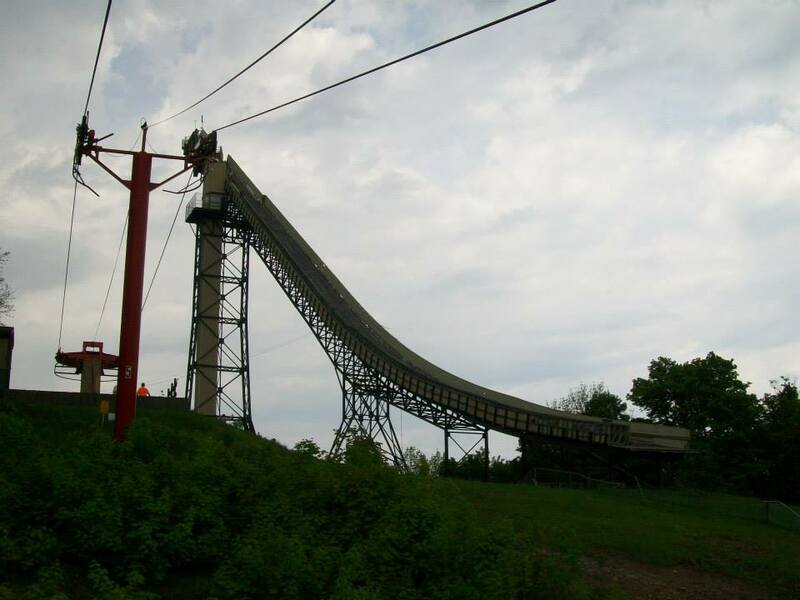 The 810-foot chairlift rises 365 feet to the crest of the hill. 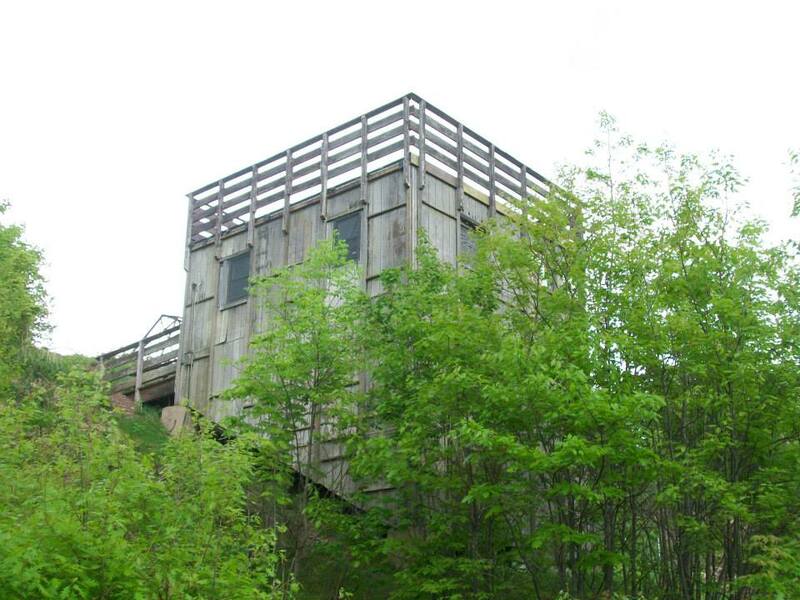 The 18-story elevator ride takes about 55 seconds. The structure is designed to withstand winds in excess of 190 mph. In a brisk wind, the top of Copper Peak has been observed to sway as much as 18 inches, by design. 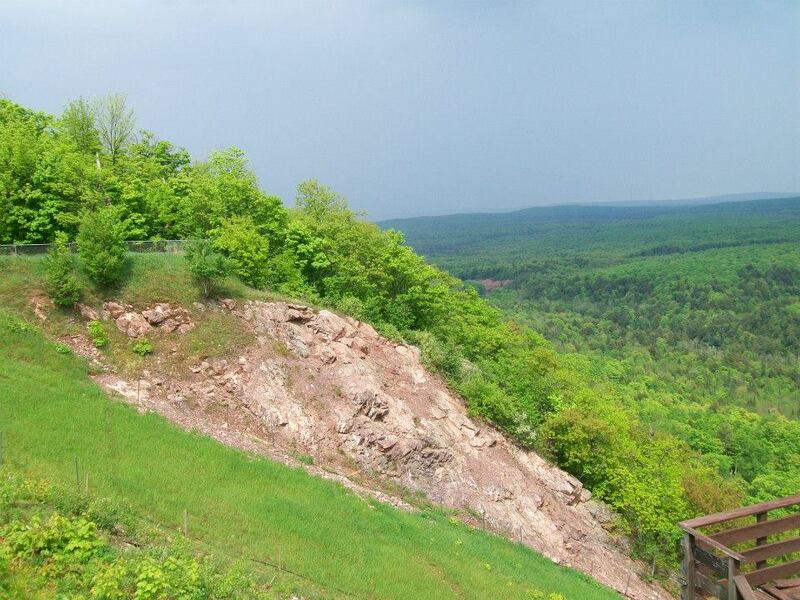 During construction, a 104-pound piece of native copper was unearthed. 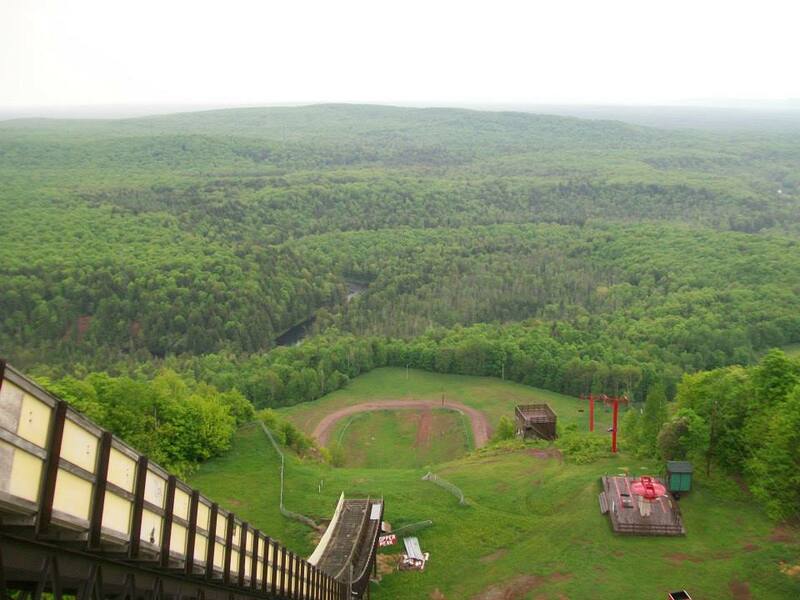 The first international ski flying competition was held at Copper Peak in February and March of 1970. Maximum of 3 children charged per family; additional children free.